Fall is a magical season for outdoor photography. 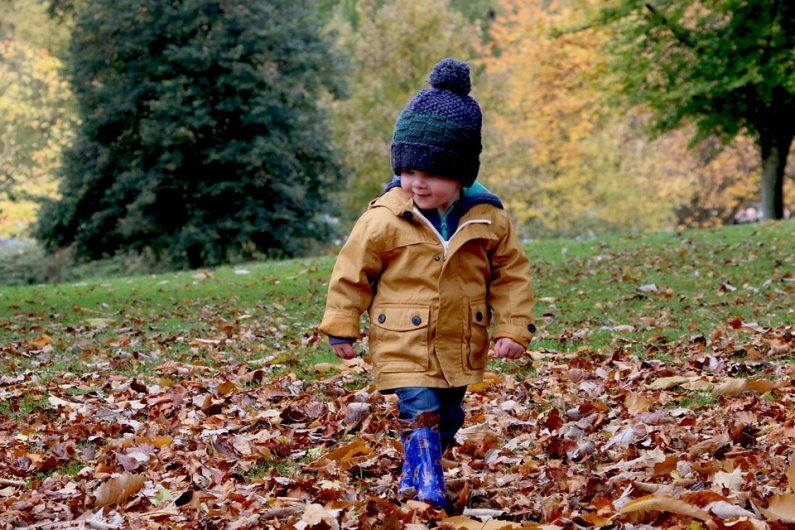 In this article have compiled some of the best Fall photo ideas for family. Not only will you learn how to choose the perfect destination but you’ll also be able to capture those awesome moments such as watching your kids running through a pumpkin patch, playing in the fields or even capturing a unique photo while standing on a bridge. Fall photo ideas are not only about the changing leaves and trees. There’s a lot of things you can easily do and include in your shots to make your photos unique. Such as using props to make the your photos stand out, planning what to wear, or how to strike a pose. Or you can just take candid shots of your kids playing. There’s something magical about Fall that makes people spend countless amount of money to vacation in several countries. Whether it’s the smoke filled air or the explosion of warm colors enjoyed by nature lovers Fall transforms even the most busiest city person into a rose cheeked nature bug. Filled with warm lighting, families with their kids playing everywhere for most persons Fall is a time for photography. Just about everywhere you look you can’t help but notice someone trying to take a picture a pile of leaves or of some enchanting maple leaf hanging from a branch. So before you fill your camera’s memory with thousands of snap shots take a look at my 10 best family fall photography ideas for capturing the warmest colors and leafy memories. In many countries like United States, Fall season signifies harvest and Thanksgiving. And for this reason it’s no secret that for photographers, farmers markets and roadside stands have become some of the best locations to take awesome fall photos. As with any good photograph you need to have a point of focus. Somewhere to lead the eye into. Sure you can step back to take the traditional towering pumpkin landscape but to create a more visually pleasing image you need to have a specific subject to focus while using the rest of the scene as a soft background color. Now I’m not saying that you need to get your family to pose for every picture. Rather that you decide what you want to include in the photograph when taking the shot. Just about every parent has taken a picture of their kids dressed up in some ghastly costume on Halloween night as they roam from house to house for sugary treats. Now in spite of the photo opportunity seemingly offered by Halloween, the truth it doesn’t always yield the best photos. Let’s find out why. First many of the pictures you’ll want to shoot during Halloween are taken at night. And we all know by know that whenever you take a picture using your camera’s on board flash you’ll get poorly exposed images and those dreaded red-eyes. For this reason the best pictures shot during Halloween are taken at dusk when you’ve got enough ambient light to get the correct exposure without using flash. Moreover can you remember the last time you saw someone take a great group photo? The fact is, there are countless things that can totally ruin with a group portrait, especially when you add kids to the mix. There’s always someone who is gonna have their finger stuck up his or her nose or their eyes closed when you press the shutter. And, what’s the subject of the group photo anyway? What is the point of focus to gain the viewer’s attention? So let’s say after you’ve taken the traditional group shot of your kids and their friends you take a close up portrait of your son or daughter while they lift up their mask to take a bite of their favorite chocolate bar. Or a close up of the eyes of your youngest child plastered in makeup. Wouldn’t those be more interesting pictures? Of course. And while were on the subject of how to take some great Halloween pictures, let me share some awesome tips on how you can get some really good photos of jack-o’-lantern. Certainly one of the oldest and most renown Halloween traditions is the lighting of the jack-o’-lantern. Now I’ve never understood if this was an attempt to recreate the horrific scene from some scary movie but however regardless of whatever reason jack-o’-lanterns have never been able to successfully gain the attention of the camera lens or the view. That being said most Halloween photos of jack-o’-lantern in my humble opinion deserve to be deleted. Why, well firstly the idea behind jack-o’-lantern is supposed to be something ghostly and supernatural right? And if my memory serves me correct the best way to recreate that visual effect is to take the picture at night and without the flash which most people seem to use when taking these pictures. So…How do you take the shot without ending up with a blurry and totally unusable photo? Place more than one candle in your jack-o’-lantern. More light equals sharper photo. Stay with me now. The next thing you’ll need is a tripod. Yes I know you hate the idea of lugging this around but if you want to get the perfect jack-o’-lantern shot you’ll need one. If you don’t have one go out and steal one. I mean borrow one. Believe me there’s absolutely no other way when shooting in low light. Unless you’re going to raise the ISO which is a different story and not necessarily for the average beginner. The next thing you’ll need to do is shoot during late dusk when you’ve got enough light to capture the color of the skin of your pumpkin. And of course never shoot at night. I must admit its easy to forget that Fall is a great time for capturing portraits with all the natural beauty and changing colors competing for our attention. Especially with all that flattering golden textures that seem to lure us in at dusk. For me one of the common challenges I’ve often faced when shooting portraits is deciding what to include in the frame. Thankfully Fall season makes that task so much easier. Once you’ve focused on the subject then by letting the background foliage with all it’s magical colors go into a blur I’ve been able to capture some of the best family photos and portraits. Occasionally you can also create some stunning photos by shooting your subject lying on a heap of colorful foliage from an above position. Of course you don’t have to play all your outdoor Fall family photos. Fall is also a great season to capture some candid family portraits. Just think of all of the exciting things you can do during the harvest and Thanksgiving season and use the natural colors and opportunity to capture some awesome photos of you family and friends.